When I left, I didn't know where I was going; when I got there, I didn't know where I was; when I returned, I didn't know where I had been. Christopher Columbus - when he found the Americas. 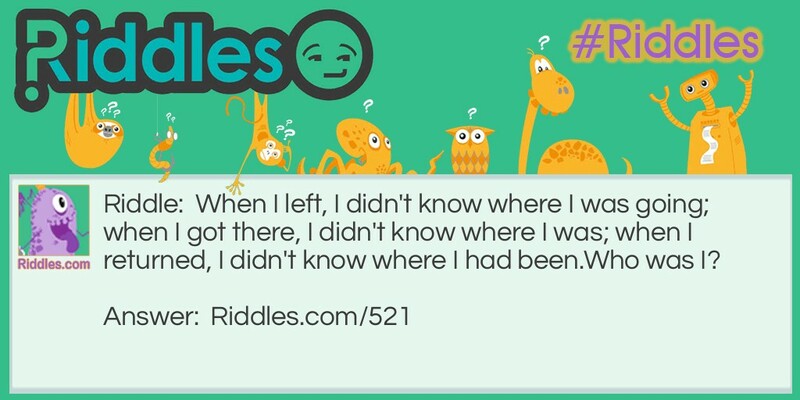 Unknown Riddle Meme with riddle and answer page link.